The Rose Walker Community Centre sits in the grounds of the beautiful Cheadle Heath Park. The park boasts a lovely green space, flower bed with two benches, a children's play area with swings, slides and a climbing frame, and a newly restored five-a-side football pitch. The park is perfect for families, for dog-walking (please pick up after your dog and use the bins provided! ), football and picnics. 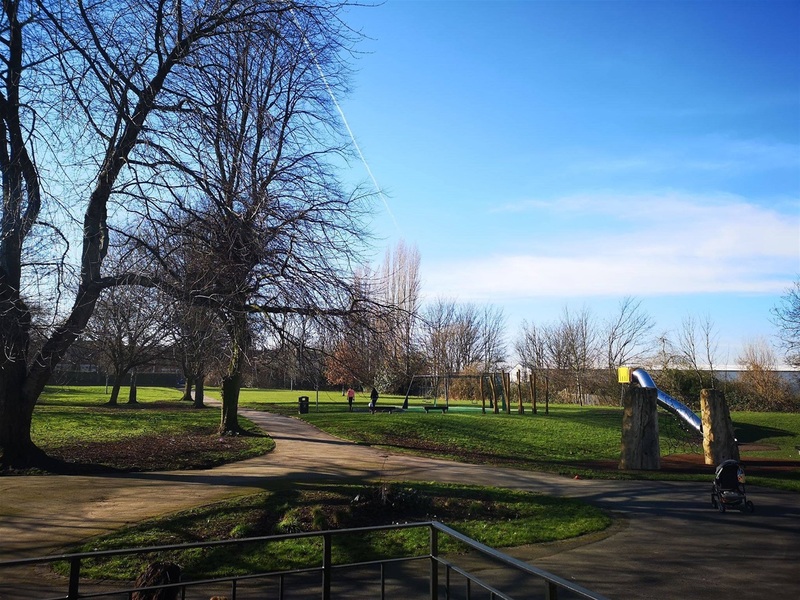 We are keen to encourage local residents to come together to form a Friends of Cheadle Heath Park group, to take care of the park, bring the community together to enjoy the space and to think about improvements for the future. Matt Wynne recently led the first meeting of the Friends group and said "the park is unique and this can allow us to try niche things that work elsewhere. We know there is a need for funding for projects and to make sure the basics are in place, such a sign to the park from Stockport Road." The next meeting of the Friends group will be held at the centre on Sunday 12 May, 2 - 3pm. All welcome! 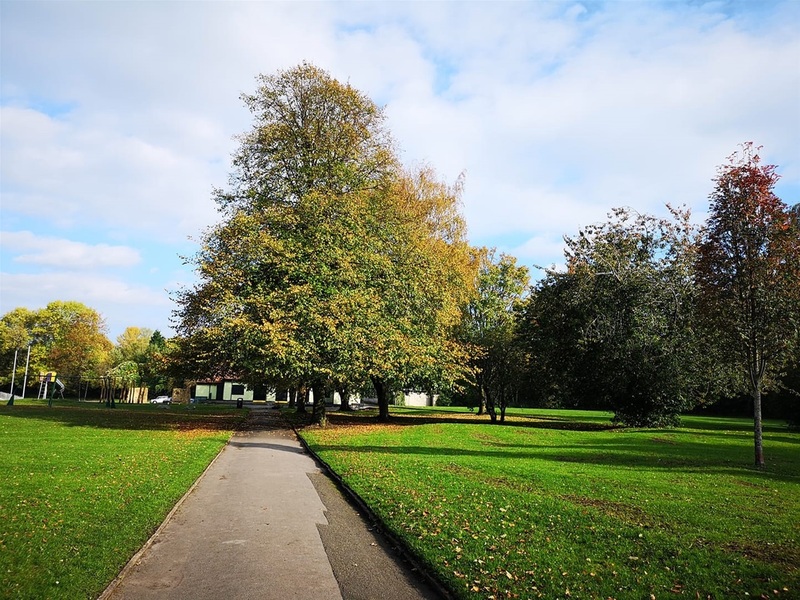 Please note that the park will be officially re-launched as Cheadle Heath Park on Friday 31 May, 2pm.